Even if your roof is well-maintained or fairly new, heavy rainfall is still a cause for concern. The areas of your roof that are prone to pooling water can lead to a leak during heavy rain. Not to mention, your gutters simply may not be able to keep up with the downpour. Below are some common causes of roof leaks in heavy rain. It is not uncommon for skylights to leak during heavy rains. This does not necessarily mean the skylight is damaged, but that the condensation from the rain and runoff has a higher chance of leaking through. Caulking has left gaps that rainwater is seeping into. In most cases, placing a bucket under the leak will do as a temporary fix. After the rain stops, find a roofing inspector immediately to assess the damages from the leak. 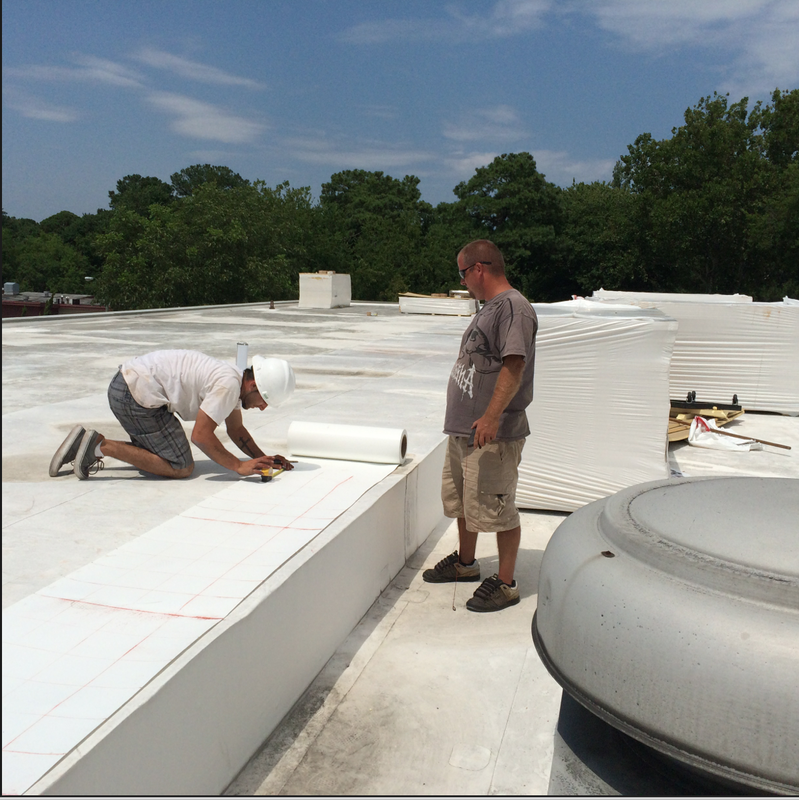 Some flat roofs lack the drainage required to keep up with heavy rainfall. 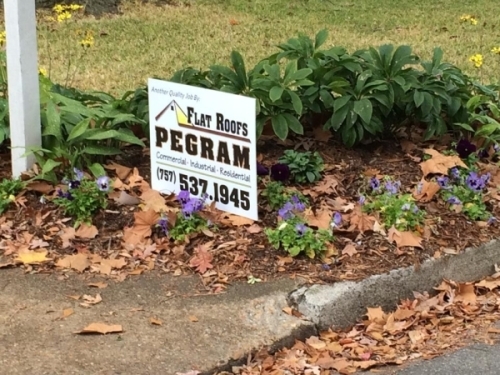 If your roof lacks proper drainage, this is an excellent place to begin improvements. Home and Business Owners with flat roofing must also ensure their roof is properly sealed, and that all eaves and flashings are in good standing. This means that seasonal roof inspections cannot be allowed to fall by the wayside. 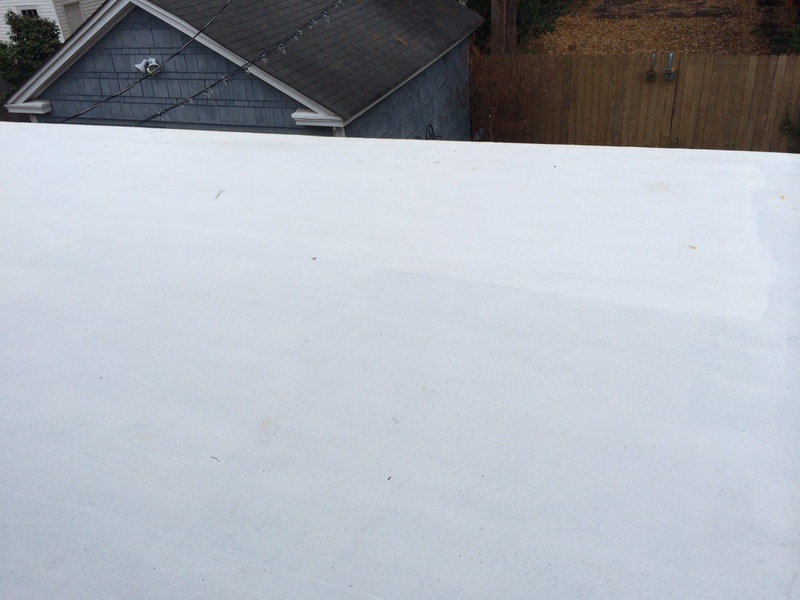 Keep in mind that flat roofs don’t always leak in the same manner as roofs with more shape. Instead, you may find drip marks down a large area of your walls or a wet spot on the ceiling. Chimneys are designed to do an adequate job of keeping the elements out, but your chimney could be the cause of your leaking roof. Homes with chimneys are commonly facing problems with roof leaks. The outer structure of your chimney often retains water, which can make the roof leak in a hard rain. You must also make sure the shingles and flashing surrounding the chimney are in proper working order. The flashing is a piece of sheet metal that covers the overlapping areas of the chimney and roof. Two layers of flashing is applied to the chimney and roof, and a sealed with a high-quality urethane caulk. Naturally this caulk becomes loose over time and creates a pocket for rainwater to seep in. Often times reapplying the caulking could work as chimney leak repair, but flashing may need additional maintenance and a trained eye. If you have any vent caps for ventilation exhaust fans on your roof, they may be the source of your leak. Before you climb on the roof to look for leaks, make sure your bath fan duct is insulated. A fan duct that is not properly insulated will moisten the air. This leads to condensation in the duct. Look out for moisture building in the bathroom walls, or within the attic.